Sometimes you make a view about certain things without even trying them out and that called your perception towards that brand or product. I too have a lot of perceptions which are generally correct but sometimes they get challenged by the value the product offers and makes me think why I had that perception in the first place. I always try to find out the reason and keeps challenging my brain for all the perceptions learned during this lifetime. One of these products which challenged my perception is called XPG EMIX I30 which I was able to review is this Gaming Headset from ADATA Technology. Launched during the last year and made its way to South Africa recently is World's first real 3D surround in-ear headsets and after reading its specifications, I contacted the PR company to arrange a review unit at that time. XPG is not a new name in the Gaming Industry Market for launching products which are excellent, reliable and value for money. They are mostly in Solid State Drives and DRAM modules for increasing the random access memory for your gaming desktop and laptops. Adata Technology is more into external storage, USB flash drives, memory cards and readers, power banks, cables and more recently wireless chargers. Coming back to the product XPG EMIX I30, the first thing you will like is the packaging of the product and the accessories the package contains. As these are wired handsets, so they will give you the pleasure of using your old 3.5mm jacked devices and you will really enjoy the same. 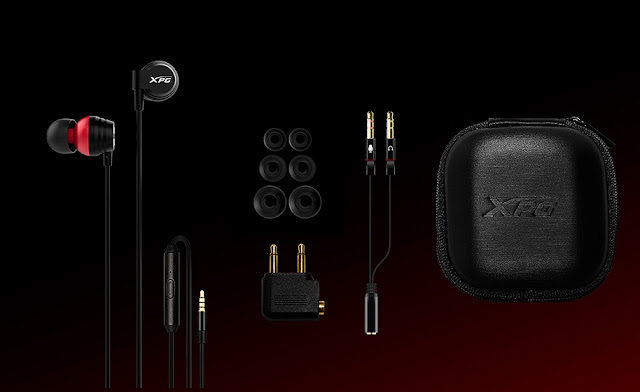 Packed inside a small pack is the premium carrying case with XPG logo to carry your earphones around. The pack is small enough to fit your jeans pocket and can be easily held in your hands too. Inside the package, you will also receive airplane adapter along with a 2-in-a adapter cable to connect to most of the gaming devices. 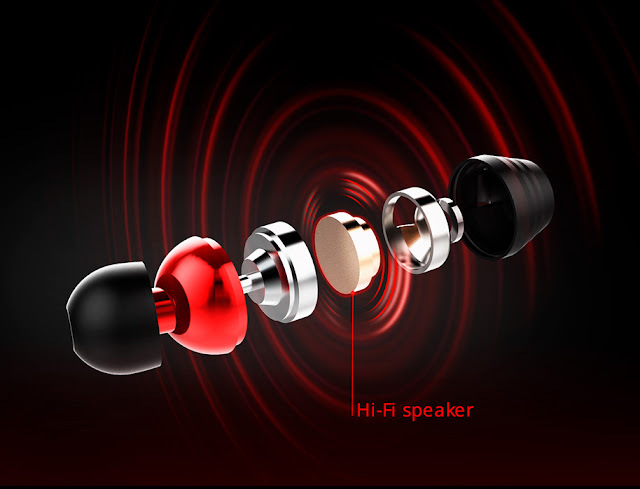 As all earphones contain, EMIX I30 comes with extra earplugs in Small, Medium and Large sizes. The product is packaged in a black box with red streaks which really makes the product look premium. Coming to the main in-ear headsets unit, the first time I saw them, I just waited for some time before taking them out of the packaging. I just loved the Red and Black design matching the natural shape of the pottery vessels from Egypt. This shape helps the XPG earphones to bring in the necessary technology to bring world's first real 3D - 5.2 surround-sound effect. The earphones have an inner vacuum tube which allows EMIX I30 to transfer sound in a way that creates a convincing spatial effect. 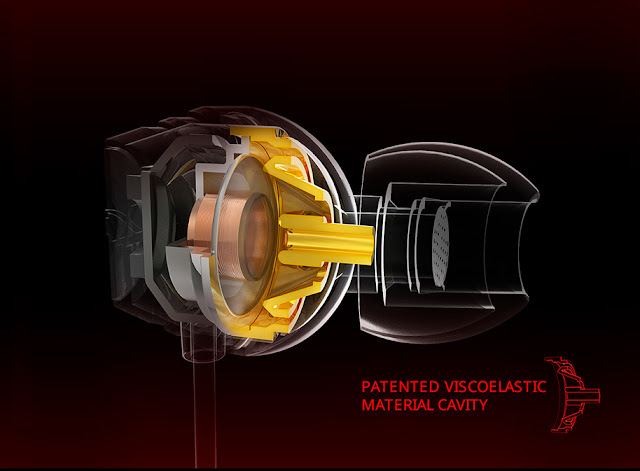 The elastic materials that line this tube move inwards and outwards based on frequency, allowing for a wider range of frequencies. Each earphone has a micro-subwoofer embedded for bass boost, and together with these innovative designs, these 13.5 mm driver unit creates an impressive surround effect which is rich in bass and clear sound. Extra 3.5mm driver unit amongst its competitors really helps the headsets punch in extra bass and also the ability to handle deeper lows and sharper highs to cater to all kinds of music, movies, and games. I have been able to test these earphones in various genre of songs and totally loved the same. It brought in the feeling that how much I love music and what I am missing these days in my day to day struggle for earnings and running the family. The design of the earbuds is very good where the cable is handled on the left side for left earbud and right earbud has the cable connected on the extreme right end of the earbuds. This really helps you to put them into your ears correctly without thinking and working out which way is the microphone so that will be right side etc. There is a small cavity on the top ends of both the drums of the earbuds. Silicon earplugs provide noise isolation and are comfortable to wear because the earbuds are really lightweight. The right side cable also contains in-cable remote button and mic for attending to phone calls and conversing with your fellow players during gameplay. You will be able to control track forward and rewind, play and pause and several other general functions with the same. I am not a fan of powerful bass other than while watching movies but these days, you can control the same on your smartphone using some of the audio equalizer settings. I have used these headsets with Sony Walkman MP3 player and iPod Shuffle along with several other smartphones available with my family members. After using them for more than a month, I can proudly say that these earphones can easily replace my day to day earphones which are Bose MIE2i mobile headsets since 2013. What I loved about Bose earphones was the theatre like surround sound effects but these headsets produce 5.2 channel surround sound with full noise isolation which brings in powerful effects. I delayed my review post for a fortnight so that I can continue to use this review unit so you can judge how much I loved these earphones! Ha Ha Ha!!! Note - All the images are from the website. I will be posting the images on my Instagram page soon.